Highfields is gearing up for its latest musical spectacular, Grease! Students are now being encouraged to register their interest in being part of the showcase. Auditions for principal parts will take place from 3.30pm next Wednesday, September 27th. Those wanting to audition are being asked to perform a song of their choice on their own, in pairs or maximum groups of four. Rehearsals will then start after school on Thursday, October 5th and will run every week until the show. The production is set be staged from February 28th – March 3rd 2018 and will be open to all students who would like to take part. The showcase will be the second collaboration with neighbouring Penn Fields School for the annual production and comes following the massive success of past performances that have set the bar high for upcoming shows. Grease is one of the most successful and popular of all time, featuring a host of uplifting and elevating songs, including Summer Nights, Greased Lightning, We Go Together and Born To Hand Jive. The musical follows the story of a wholesome, pure and friendly exchange student, Sandy Olssen and a summer romance with a proud, stubborn leather-clad Danny Zuko. But will the romance be able to survive the pressure of High School cliques? 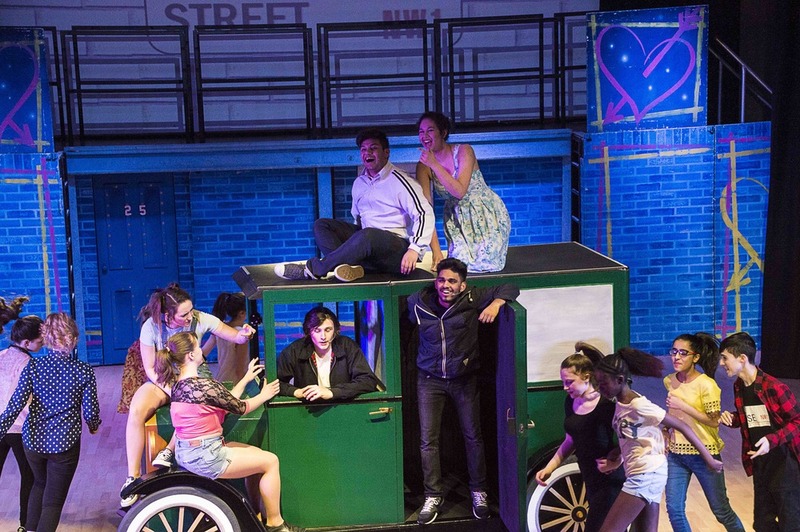 The showcase follows Highfields’ hugely successful productions of High School Musical, Our House and Hairspray that have involved thousands of students and attracted sell-out crowds. Rehearsals for the full cast will take place every Thursday after school whilst there will also be rehearsals for main characters and dancers on some Saturdays. Ms S Bishop, Head of Performance, said: “We are delighted to have secured the license for Grease as our next musical showcase. “The annual production provides students with a wonderful experience of performing in front of live audiences on stage. We are proud to be staging our annual musical in collaboration with Penn Fields for the second year and hope to see hundreds of students from both schools involved. “Grease is an iconic musical that has transcended generations. It features some very catchy songs that we guarantee will have the audience dancing and singing along. Grease was first performed in 1971 in Chicago and was later turned into a hugely successful film starring John Travolta and Olivia Newton John.